The increasing number of non-cash transactions worldwide is opening opportunities for many players to grab a “piece of cake” of this new digital payments booming market. Worldwide, it’s possible to see different trends due to different regulation, availability of technologies, and last but not least, different consumers’ habits. eCommerce payments are likely to overcome the 2 trillion dollars of volume in 2019 and for sure it represents a significant market that can be considered as a benchmark for the spread of digital payments in general terms. Intergic srl is the Italian Business partner of many International technology vendors. The increasing number of non-cash transactions worldwide is opening opportunities for many players to grab a “piece of cake” of this new digital payments booming market. Worldwide, it’s possible to see different trends due to different regulation, availability of technologies, and last but not least, different consumers’ habits. More in detail, eCommerce payments are likely to overcome the 2 trillion dollars of volume in 2019 and for sure it represents a significant market that can be considered as a benchmark for the spread of digital payments in general terms. • NorthAmerica: In North America eCommerce market is easily led by cards, 3 out of 4 payments are carried on by credit or debit cards. Despite the level of digitalization of North American consumers, they still consider cards more secure and convenient than eWallets. A new trend is represented by some new credit or landing based solutions that, thanks to digital and data-driven technologies, enable American consumers, who usually are credit addicted, to access low amounts credit solutions in a cheaper way. • South America: as for their northern neighbors, cards are leading the field, but, considering that Latin consumers are quite new to the digital world, the growth rate of wallets and alternative payment methods is expected to take over cards by 2022. • Asia: A fully digital country like China can see nothing but a leadership of tech giants like Alipay and Wechat. These companies are building digital ecosystems that make the customer feel safer on their platforms than on any standard physical or online bank branch. • Europe: Even if within the other continents, close countries have similar behaviors and act similar way, in Europe, every single country has its own way to approach the digital payments market, so that we can observe strong differences even between bordering nations (such as for example Italy and Germany). While Mediterranean countries are still led by cards and eWallets, northern and central European countries do not like cards and eWallets at all. The most common payment methods in these regions, in fact, are bank account based payments or, more and more often, invoice based solutions, with very local specific cases like Ideal in the Netherlands or EPS in Austria. Italian eCommerce is trying to keep the pace with few years of delay compared to other big countries like Germany, France and UK, same as the Latin countries are doing compared to the USA and Canada. In fact, as for Latin countries, a little lack of trust in entering banking or cards data directly into eCommerce websites and the fact that most acquirers belong to millennials or Gen Z, is making eWallets (mainly PayPal) increase year after year, reducing the market share of cards. It’s not a casualty that lots of new ePayments like Apple Pay and Google Pay are investing more in Italy than in other bigger eCommerce markets (e.g. Apple Pay was launched in Italy before the launch in Germany). 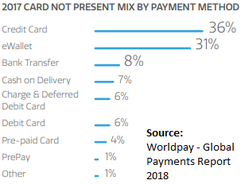 To be considered is also the higher percentage (7%) of “Cash on delivery” payments compared to other European countries. In certain verticals such as consumer electronics and home furniture, a low level of trust in the eCommerce world is making consumer buy by cash 2 out of 10 times. Bank Transfer is growing year over year due to some more convenient and smarter way of executing a bank account payment, being it a SEPA transfer or a SEPA direct debit. So which are the factors that make the same payment methods being so strong in some countries and at the same time so weak in others? • Regulations: European regulation is probably one step ahead of other regions, the recent PSD2 and the Open banking topics is opening a series of new opportunities for banks and startups that will soon affect all the markets, but for sure it will push bank account based payments, that will win market share to credit and debit cards. This overtaking will be done by the so-called PIS, payment initiation services, who will easily and safely be able to execute instant bank transfers among different players, being it a B2C or a B2B payment. Technology and regulation are for sure important and visible influencer of the way consumers are used to paying online, but there is one more aspect that is probably less measurable and less visible to all of us: TRUST. Who do we trust when we make a purchase? With an increasing number of fraud attacks, are eCommerces trusting their consumers? After the 2008 financial crisis and the continuous news about bank failures or bad behaviors, in many countries banks are no more perceived as the most secure financial institution to choose in order to make saving or to pay online. The way we see banks affects a lot the way we pay. German banks, for example, has always been perceived among the most solid banks in the world, and probably that’s why bank accounts payment are so common in the German eCommerce market. When the bank trust struggle, new players find their space. If consumers trust 100% Amazon when making a purchase, why shouldn’t they trust Amazon in order to have a bank account or make a payment with Amazon Pay, the perception is that such a big company is less likely to fail compared to banks. So in Latin America, Asia, and South-Western Europe, where the financial crisis had the worst and lasting effect, new eWallet solutions are gaining consumers’ trust. Till now, we analyzed only the consumer purchase behaviors, but what about giving a short look at the role of the merchant itself? What if there may be the possibility of having a fully trustable ecosystem where the instant confirmation of the payment is no more mandatory for the delivery of the purchase? In some markets like the Italian or similar, a situation like that seems unlikely to happen in the near feature. Central, but mainly Nordic countries are for sure a very good example of how trust should work in the eCommerce market. Some financial institutions (mainly fintechs), thanks to a terrific use of data, are able to guarantee that the consumer will pay the due amount after the delivery of the goods. The mindset of the Nordic consumers is: “I’m trusting this eCommerce for my purchase, why shouldn’t it trust me as a buyer?” SO YES, NORDICS AND DACH CUSTOMERS PAY FOR THEIR GOOD AFTER THE DELIVERY AND EVEN THE USE OF THE GOODS, WITHOUT ANY DEBTS OR INTERESTS ON THEM. Do you think that there’re other factors that influence eCommerce payments development? Do you think that a trustable ecosystems like in the Nordics would ever be present in the Italian market? Would you like to “try before you buy” your purchases? 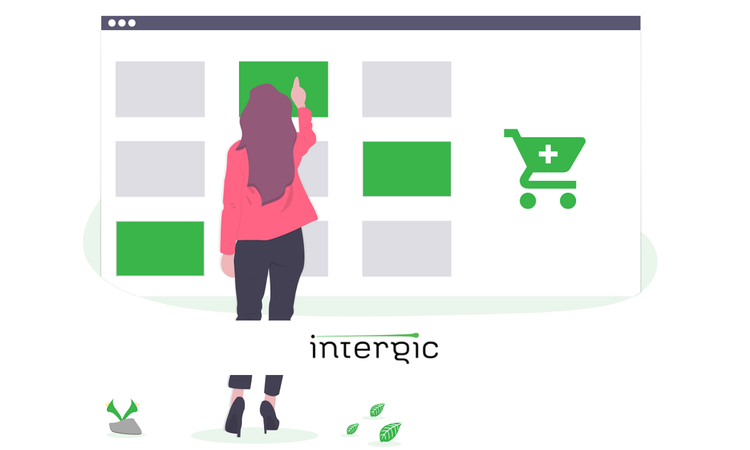 Intergic takes ownership for all the aspects a growing business should look to when developing a new market. We provide the full range of services from strategic consultancy, digital marketing, account management pre-sales and sales. This allows them rapid access to the Italian market with immediately measurable costs and the reassurance of being connected to an already successful sales engine.